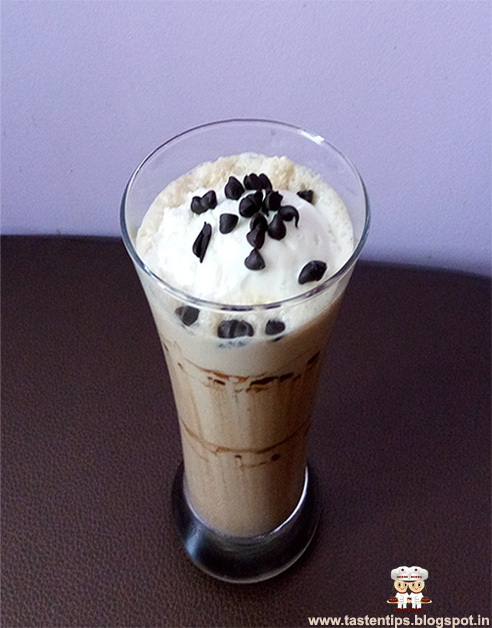 Cold Coffee with ice cream is an amazing drink, which is a perfect balance of coffee and sweet. 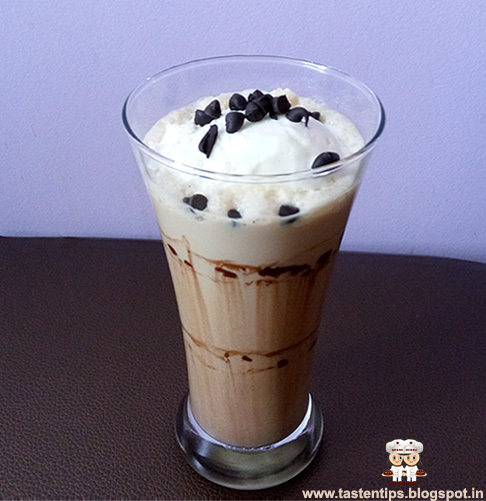 Cold coffee is treat for coffee lovers with easy ingredients available at home. 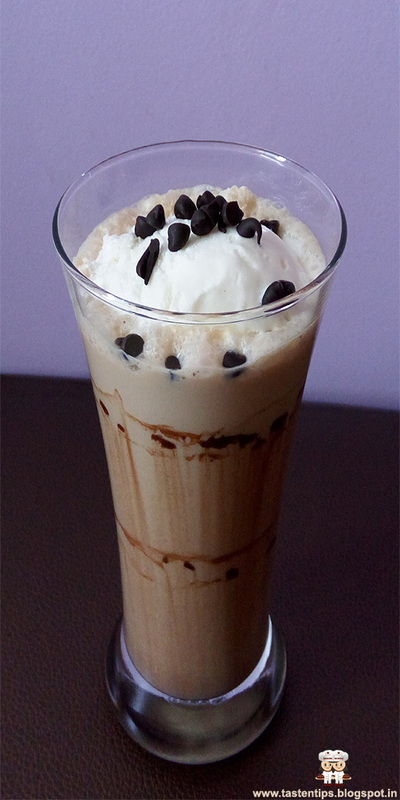 Cold coffee with ice cream is a favorite recipe among children and adults. Preparing the Cold coffee is quite simple and fast.....to make this Cold Coffee you need milk, sugar, vanilla ice cream, chocolate syrup..... which are easily available at home.....mix all the ingredients in a blender, blend them, pour in a long glass, top it with ice cream and choco chips....your cold coffee with ice cream is ready. 2. Blend it till frothy and foamy. 3. Take chocolate syrup and decorate the sides of glass. 4. Keep the decorated glass in frezer. 5. After 5-10 mins remove glass from frezer, transfer cold coffee in glass. 6. Top it with vanilla ice cream, choco chips & serve chill. 1. You can add cream in cold coffee. 3. You can use any ice cream of your choice in place of vanilla. 4. You can garnish the coffee with chocolate syrup also.